HostXnow Review 2019: Is HostXnow a Good Hosting? HostXNow offers both WordPress and cPanel hosting with generous features and free SSL certificates. They provide the tools necessary to build most small and medium-sized websites. 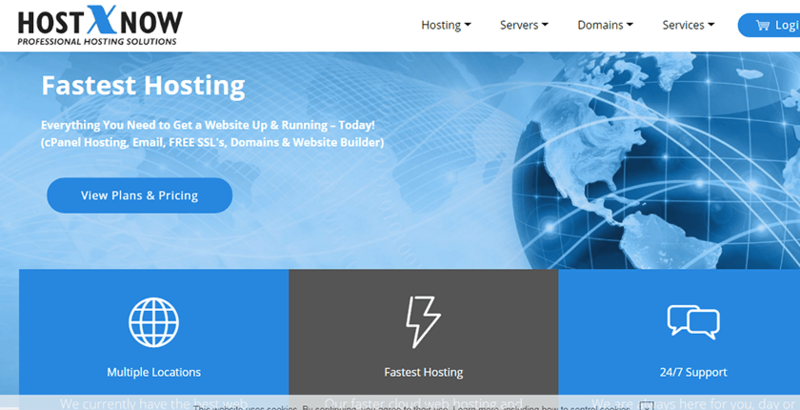 HostXNow is a U.K. based company that’s been offering web hosting services since 2009. Offering both cPanel and WordPress hosting, they provide fast website creation and hosting that more than capable of handling most small to medium sized websites. Softaculous allows you to perform one-click installs for programs such as WordPress and Joomla on cPanel hosting. WordPress hosting comes with WordPress pre-loaded. The SitePad website builder is a ‘point and click’ web builder with 289 responsive themes and over 40 widgets that can add a variety of features to your website, such as image galleries, video, and more. Most hosting companies don’t offer unlimited email accounts or FTP accounts for all services. Few provide free SSL certificates standard. This feature alone can save you from $30 to $3,000 depending on how many websites you host that need an SSL certificate. For cPanel hosting users, both the SitePad website builder and Softaculous installer are simple to use and will have your site online in minutes. If you choose WordPress hosting, you will have the advantage of setting your site up using a wide variety of WordPress templates. Available storage and concurrent connections can be limiting depending on the number of sites you host. For example, on the Small plan, 10GB will likely be fine for a single website, but if you host ten sites, your average storage will be 1GB. You’ll experience the same issues across the board. Next, the concurrent connection is a major concern for anyone looking to host a site that may need to support a large number of customers at once. If you have a webstore and hold Black Friday sales, if you have more than 50 people trying to access your site at once, they may run into problems. HostXNow offers solid support but is lacking in one area. They presently do not provide phone support. Instead, they use live chat support and online ticket support. They also have a searchable knowledge base that’s good for some basic questions. The technical side of their knowledge base is limited to cPanel, DNS changes, FTP, Private Nameservers, and phpMyAdmin. With multiple hosting choices, simple website, software installers, and free SSL certificates, HostXNow can handle most small to medium-sized websites. Wondering how HostXnow stacks up against other Web Hosting companies? Enter any other Web Hosting company and we will give you a side-by-side comparison.